Hey everyone and welcome to week 10 of your CSA. I hope everyone had a nice weekend. We went to Van's brother's house in Monroe, La., and had a wonderful visit. We were able to enjoy Sunday out on the Ouachita River. It was Hazel's first experience on a boat and she loved it! We were surprised to harvest watermelons out of the field this week. We have been harvesting yellow and red meat watermelons so far, and they are really really juicy. Must be from all the rain. I hope everyone has been enjoying the cantaloupes the past couple of weeks too. This week's variety of cucumber is Gherkin. This makes for a wonderful pickle. Now is the time to put a few jars of pickles up for the later months in the year. The rain has been nonstop. We received 5 more inches last week and 2 of those inches we got in about an hour. That is a lot of rain at once. The farm was literally under a flash flood. We found out last night that there is a tropical storm headed our way as well. I am thankful to not be on the coast, but I know we will get some of that rain, 3-5 inches is what The Weather Channel was predicting for our area. This has by far been the wettest season we have farmed in. I have never seen this much rain in June. Our climate is definitely changing. I can't help but wonder what the fall and winter will be like. I wonder if the fall and winter will be as warm and as long of a growing season as it was last year. We had a wonderful fall crop and CSA last year, and hope to have y'all join us! 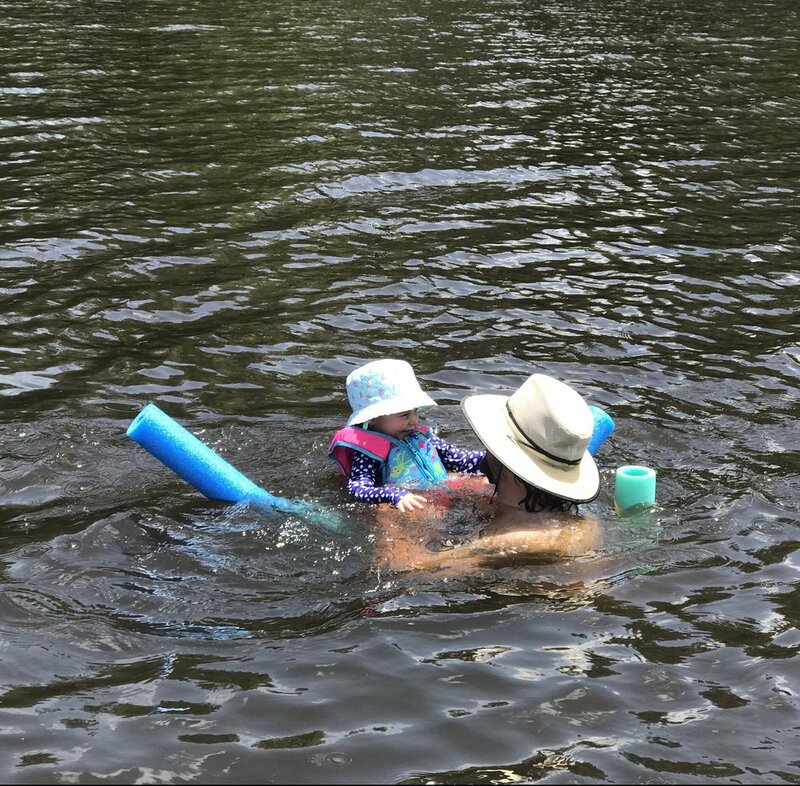 Pictured below Van and Hazel enjoying a little float time on the river, beets being cleaned and ready to go into your CSA, and a 2 pound tomato we picked before it split from all the rain.